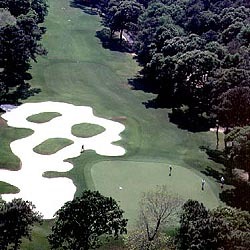 Traditional in concept, both Golf Digest and Golf Magazine have acknowledged this facility as a course of distinction. This beautifully maintained Rees Jones design winds through clusters of live oaks and natural lakes. Arcadian Shores features Tifton Bermuda greens and a practice facility. Enjoy the Arcadian Classic Golf School, clubhouse with snack bar, fully stocked pro shop, as well as a custom clubmaker. This facility is part of the Myrtle Beach Hilton Resort and features the first-class service and accomodations typically associated with the Hilton name.